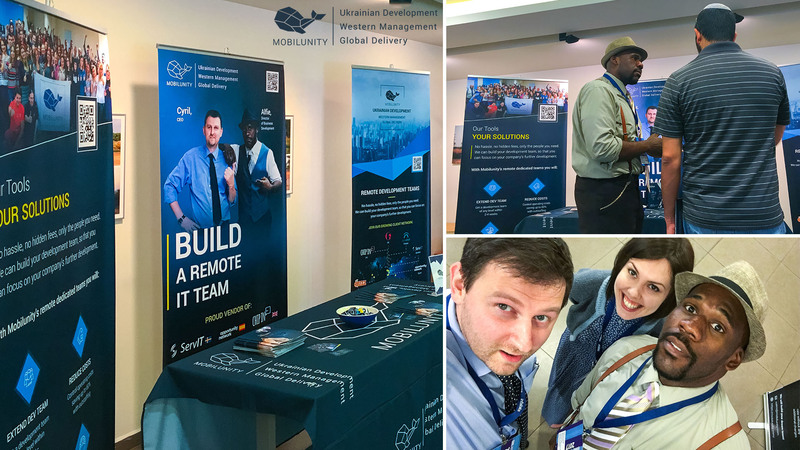 Mobilunity continues its world business tour, bridging the gap between the Startup Nation of Israel and the emerging IT nation, that is Ukraine. 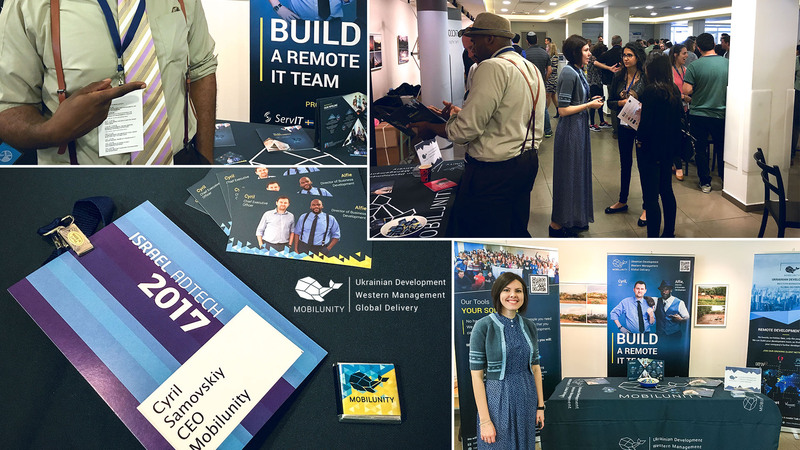 Kyiv – 12 April, 2017 – Continuing its active participation in Global IT events, Mobilunity, a Ukrainian provider of development teams and IT outsourcing solutions, proudly exhibited at Israel AdTech 2017, the 3rd annual Israeli conference for leaders of the AdTech industry. Mobilunity’s management team, represented by CEO Cyril Samovskiy, Director of Business Development Alfonsine Williams, and Scrum-certified Project Manager Marina Negriy, attended this year’s edition of Israel AdTech to not only present the benefits of Ukrainian development, but to connect to the Israel AdTech scene that has produced some of the most influential companies in the AdTech sphere. Israel AdTech is a networking conference that unites startups, agencies, and experts representing advertising companies from all over the world. Annually the event managed by Eli Mandelbaum (the conference chairman and managing director of PluggedIn BD) has 500+ attendees and speakers including senior executives, brands, startups, and entrepreneurs, representing emerging mobile and desktop technologies in the field of advertising. “We have received great opportunities for networking at Israel AdTech 2017. I hope that we will have fruitful collaboration with all people we have met, and I look forward to pursuing our joint efforts to build their development teams together.” Marina Negriy, Project Manager. Mobilunity’s efforts are aimed at strengthening and contributing to the establishment of successful and fruitful Israeli-Ukrainian cooperation in the IT sphere. Ukraine has great potential, IT talents, and plenty of resources to cover the Israeli demand for development teams and dedicated experts at reasonable rates. Angular 2 vs Angular 4 Developers. Are There Major Differences?